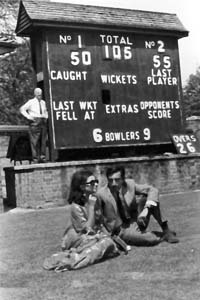 I am shocked to hear the news of Tiger Pataudi’s demise. He was an exemplary individual, who guided Indian cricket to unprecedented heights, as batsman, fielder and captain. He revolutionised fielding standards in the Indian team, and across the country. 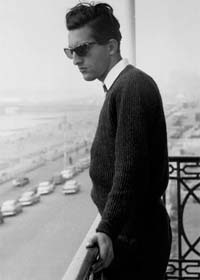 In an age wherein a draw was considered as good as a win, Tiger Pataudi encouraged his players to go flat out for victory. Having come pretty close to winning in the IPL on two occasions, Royal Challengers Bangalore will be desperate to clinch a major championship title when they begin their campaign in the Champions League Twenty20 against Warriors at the M Chinnaswamy stadium here tomorrow. "We don't have a trophy yet. But we have the guys in form and I hope we can go all the way this time," said AB de Villiers, echoing the sentiment of the senior pros in the team. Injury-ravaged Mumbai Indians, who have lost the services of their captain Sachin Tendulkar along with seven others, have been given concession in the number of foreign players they could field per match in the Champions League Twenty20. It might have been rejected by the ICC but Sachin Tendulkar's suggestion to revamp the ODIs by splitting the format into four innings of 25 overs each has got the backing of his Test teammate Rahul Dravid. Local challengers Prayag United SC today registered a 2-1 win over Sporting Clube de Goa to set up a semifinal clash against seven-time champion East Bengal in the 33rd Federation Cup football tournament here. Through with a 10-day training camp in France, Indian boxers have flown to Baku (Azerbaijan) for the World Championships, aiming to secure Olympic berths and better the previous best of a bronze medal in the mega-event starting September 26. Led by Vijender Singh, the middle weight boxer who ended India's medal jinx in both the Olympics and the World Championships with a bronze, the Indian team was in France to train and get acclimatised to European conditions ahead of the big event. 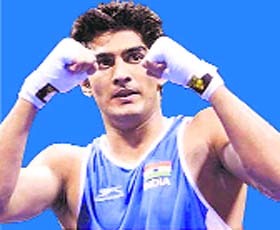 Vijender Singh will lead the Indian team. Ace shuttler Saina Nehwal emerged as the lone survivor for India at the Japan Open, defeating Mingtian Fu of Singapore in straight-games to reach the quarterfinals of the women's singles competition at Tokyo today. Fourth seed Saina took 33 minutes to beat Mingtian 21-17, 21-16. She will take on Juan GU of Singapore tomorrow. The South-Asian Federation Football (SAFF) Cup will be held at the Jawaharlal Nehru Stadium in Delhi from December 2 to 12. The All-India Football Federation (AIFF) Executive Committee, which met under the chairmanship of president Praful Patel here today, took this decision. It is a great loss for Indian cricket. He is one fellow, so stylish and aggressive. He achieved so much at the age of 21, he played an aggressive brand of cricket. He was very friendly and a fun loving person, he had very subtle and good sense of humour. He always guided the youngsters, I was very close to him, so I can't really forget the way he brought me up. He was my first captain under whom I played. Whatever career I had, it stands on him. It is a sad day for Indian cricket, he was an inspiration for us. I never had the chance of seeing him play but I always heard how big an impact he made on the game. I had the chance of interacting with him on various issues. He was extremely knowledgeable, he deeply cared about Indian team. It is such a loss not only for his family and friends but also for Indian cricket. Very sad day for the Indian cricket. He was the foremost outstanding champion of Indian cricket. With his sad demise, that chapter is closed now. I am too shocked to react to this news. In those days international cricket was of a very high level and what amazes me is how he could carry on with three handicaps - he had one eye (the other having been lost in a car accident in England), one effective shoulder and one effective thigh - and play so well. On December 27, 1969, married actress Sharmila Tagore. Their son Saif Ali Khan was born on 16 August 1970. Saba Ali Khan a jewellery designer. In June 2005, was arrested for poaching an endangered Blackbuck. Was released on bail after two days in jail. 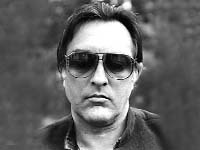 Born to Iftikhar Ali Khan Pataudi, eighth Nawab of Pataudi and his wife Sajida Sultan, second daughter of the last ruling nawab of Bhopal. He was educated at Welham Boys' School in Dehradun (Uttarakhand), Lockers Park Prep School in Hertfordshire, Winchester College, and Balliol College, Oxford. 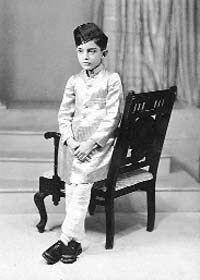 His father died on Mansoor's 11th birthday, whereupon Mansoor succeeded as the ninth Nawab of Pataudi. 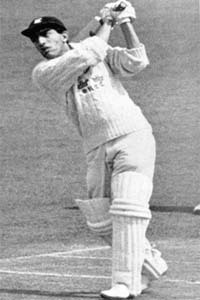 December 13, 1961: Makes debut against England in Delhi, scores 13. January 10, 1962: Scores maiden century in his third Test, 113 against England in Chennai. March 23, 1962: Leads India in his fourth Test, in Barbados, thus becoming Test cricket's youngest captain at the age of 21. February 12-13, 1964: Scores career-best 203 not out against England in Delhi. February-March 1968: Leads India to their first overseas Test victory in Dunedin. India win an away series for the first time, beating New Zealand 3-1. January 23, 1975: Plays his final Test, scoring 9 in each innings against Windies. Having come pretty close to winning in the IPL on two occasions, Royal Challengers Bangalore will be desperate to clinch a major championship title when they begin their campaign in the Champions League Twenty20 against Warriors at the M Chinnaswamy stadium here tomorrow. "We don't have a trophy yet. But we have the guys in form and I hope we can go all the way this time," said AB de Villiers, echoing the sentiment of the senior pros in the team. The franchisee has demanded dividends for their huge investment but somehow RCB have not been able to deliver the much-sought after silverware. Finishing runner-up is not what Vijay Mallya would like. There will be pressure on Daniel Vettori and gold and red-clad legion to lay their hands on the elusive title. There are quite a few stars in the RCB ranks, including the marauding West Indian Chris Gayle who had set the stands afire during the fourth edition of the IPL, but the team will certainly miss the services of the Indian pacer Zaheer Khan. The dreaded and shrewd left-arm seamer has been under rehabilitation since breaking down during the first Test against England at Lord's in July. Apart from Vettori, the vastly improved Sreenath Arvaind and Abhimanyu Mithun would miss their mentor in Zaheer. In many ways, Zaheer's absence could impact RCB's fortunes in the fortnight-long T20 bash. Unlike RCB, who fit into the CLT20 as a club outfit, the Johan Botha-led Warriors have the advantage of playing as a provincial unit. Vettori admitted that the lack of match practice, cohesion are issues to contend with at the start of the tournament. A defeat could dampen RCB's chances of qualifying for the title round as every match is crucial in this format. The Mumbai outfit has been allowed to field five overseas players instead of the usual four, because of the injuries to their players, provided those cricketers are contracted to play in the 2011 IPL, a CLT20 media release said on Thursday. Sachin Tendulkar, Rohit Sharma, Munaf Patel, Suryakumar Yadav, Dhawal Kulkarni, Aditya Tare and Pawan Suyal have been ruled out of the tournament and in their places, Mumbai Indians have nominated Andrew Symonds, Dilhara Fernando, R Sathish, Sarul Kanwar and Abu Nechim Ahmed. "In the current circumstances, if the Mumbai Indians suffer one more injury to an Indian player, they will be unable to field a team due to CLT20 rules restricting teams to a maximum of four overseas players in any one match," the release said. "As a result, the CLT20 Governing Council has approved a recommendation by the Technical Committee to ensure the Mumbai Indians will be permitted to select up to five overseas players in any one team, provided those players were contracted to play in the 2011 IPL. This was considered the most appropriate solution to respect player safety and ensure no player plays for a CLT20 team unless he played for or was contracted to play for, that team in the qualifying event," it added. "It is interesting (suggestion). I don't know why the ICC has rejected it (Tendulkar's suggestion via a letter to ICC), but it's a good idea that Sachin has given and is worth experimenting," said India's batting mainstay on the England tour. “It has been tried out in Australia (in domestic cricket) and the plus and minus points should be looked into," he added. Tendulkar had written a letter to the ICC to change the format of the ODIs from two innings of 50 overs to four of 25 overs like a Test match, but the world council's Chief Executive Haroon Lorgat had rejected it. "There is no need to change the format," Lorgat told reporters in Colombo yesterday. "We did receive a written proposal from Sachin, but that was a long time back. I myself have spoken to him many times about it, the last one as recent as during the World Cup in April. The success of the tournament showed that the 50-over format was sound in health and there was no need for dramatic changes," Lorgat added. Lasith Malinga feels that the suggested format will be accptable to bowlers as well. 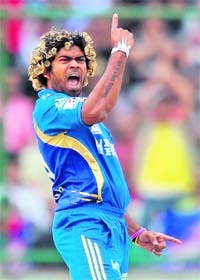 Chennai: Sri Lankan pacer Lasith Malinga today backed his Mumbai Indian teammate Sachin Tendulkar's idea of revamping the ODIs by splitting 50 overs into four innings and said it will give bowlers a chance to reverse swing the ball quite often and negate batsmen's advantage. "I am bowler and I did not like personally the change of ball in the 34th over as per the existing 50-50 match rule. If they play four innings, they will be changing the ball more times. Also, we have chance for reverse swing only after 15 or 20 overs. 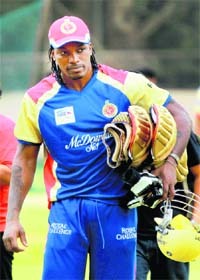 But, if they cut down that possibility, all the favour is going to a batsman," Malinga said. Tendulkar had written a letter to the ICC to change the format of the ODIs from two innings of 50 overs to four of 25 overs each like a Test match but the world body's chief executive Haroon Lorgat had rejected the idea. Malinga, who is in India to represent his IPL team Mumbai Indians in the Champions League Twenty20, said his team is not under any pressure as they take on Chennai Super Kings in their tournament opener on Saturday. Prayag United SC dominated the match right from the start with medio Denson Devadas giving an early fifth minute lead. Cheered by a motley home crowd in a rain-soaked atmosphere with drum beats, substitute Joshimar Da Silva Martins doubled the lead in the 82nd minute. Sporting Clube reduced the margin by converting a penalty in the 88th minute. The Goans, who required a draw to book the semifinal berth, struggled to get their act together as the local outfit stole the show for an-all Kolkata semifinals on September 26. With two wins and a draw, United SC topped the group D with seven points while Sporting Clube ended their campaign with six points. Featuring a record 685 boxers from 127 countries, the World Championships will double up as an Olympic qualifiers from where the top-10 pugilists in all categories, except for heavyweight and super heavyweight, will qualify for the London Games next year. In the heavyweight and super heavyweight only the top six will make the grade for the Olympics. Apart from India, 21 countries including Russia, Cuba, China, Tajikistan, Uzbekistan, USA, Congo, Germany, Australia and Ireland will field a complete 10-member team. 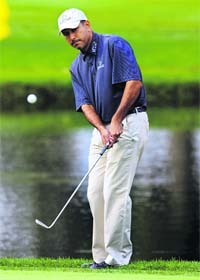 National coach Gurbax Singh Sandhu said the competition will be expectedly tough. "With so many countries participating, the nature of the competition is going to be unpredictable and boxers will have to register at least four or five wins just to reach the medal rounds," he said. Commonwealth Games bronze medallist P Kashyap played his heart out before going down 15-21, 21-6, 18-21 to sixth seed Jin Chen in the men's singles match which lasted for one hour and six minutes. Ajay Jayaram, who stunned World number seven Tien Minh Nguyen yesterday, also became a second round casualty after losing 20-22, 16-21 to Indonesian Simon Santoso in a 42-minute battle. Commonwealth Games gold medallist Jwala Gutta and Ashwini Ponnappa also failed to get past seventh seeded Jung Eun Ha and Min Jung Kim in the women's doubles event. 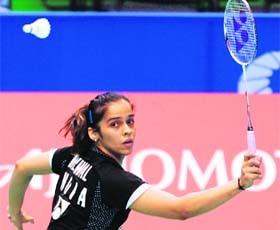 The Indian duo lost 9-21, 21-18, 22-24 to the Korean pair in 49 minutes. The Indian mixed doubles pair of Jwala and V Diju also lost their second round battle 15-21, 10-21 against fifth seeded pair of Hung Ling Chen and Wen Hsing Cheng in just 24 minutes. The preparatory camp for the SAFF Cup will be held from November 21 to 30, but there will be no break in the I-League matches because of the championship. The AIFF said the I-League, which will kick off at the Salt Lake Stadium on October 22, will continue during the SAFF Cup but those clubs, whose players have been drafted for national duty, will be playing three rounds without them. Delhi will also host the Super Cup between East Bengal and Salgaocar on October 18. The Indian team will play an international friendly match against South Africa in the first week of January and the national camp for the AFC Challenge Cup will be held from February 13 to 29. The AFC Cup will pave the path for India to play in the Asian Cup 2015. The AFC Challenge Cup will be held from March 3 to 22, and the I-League will be given a break from February 13 to 23 to facilitate the conduct of the national camp. The prize money for the I-League has been hiked from Rs 1.1 crore to Rs 1.5 crore. An I-League committee will also be set up with representatives from each of the 14 clubs playing in the I-League.